Did Charles Manson Live in Santa Barbara? Five months ago, when cult leader and convicted murderer Charles Manson was denied parole for the 12th time since he was sentenced to life in prison in 1971, it came to The Santa Barbara Independent‘s attention that Manson may have lived in town at some point in his life. But more important and less creepy stories, as well as ever-looming deadlines, brushed the report off our radar, and it was forgotten until this week when the 77-year-old’s name again popped up in news feeds: A letter he penned during his days as the messiah of the Los Angeles-based Manson Family sold Wednesday for £400 (around $625) during a “murderbilia” auction in Glasgow, Scotland. So we decided to give the tip from a reader a look. After an investigation that landed somewhere between cursory and comprehensive (closer to the former), there’s real reason to believe Manson called Santa Barbara home, at least for a short while. The most telling piece of evidence came from a man named Mark Turner, webmaster of CharlieManson.com. He emailed a scanned driver’s license with the name “Charles Willis Manson” on it and a photograph of what looks like a young version of the now-grizzled criminal. (See above.) 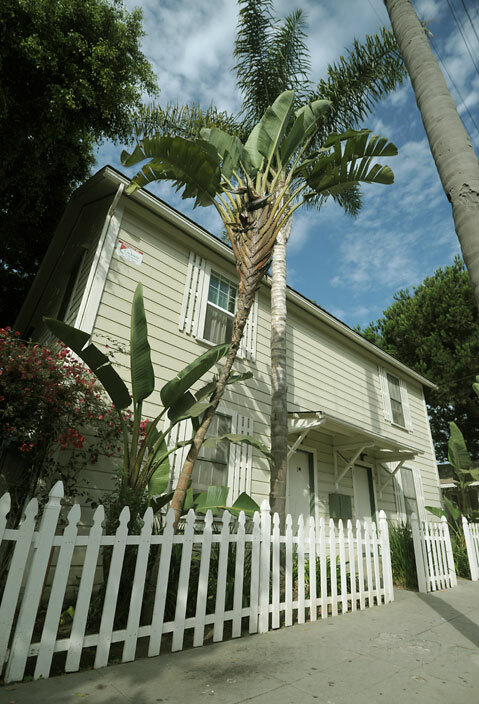 Listed for an address is 705 Bath Street, Santa Barbara, California. 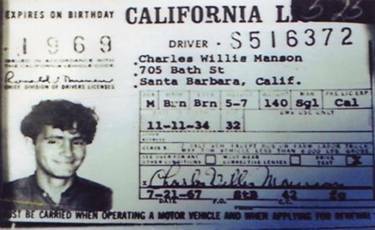 Turner wouldn’t say where he got the copy of the license, but a quick Google search reveals it’s featured on a number of websites, including some that claim Manson resided in Santa Barbara. 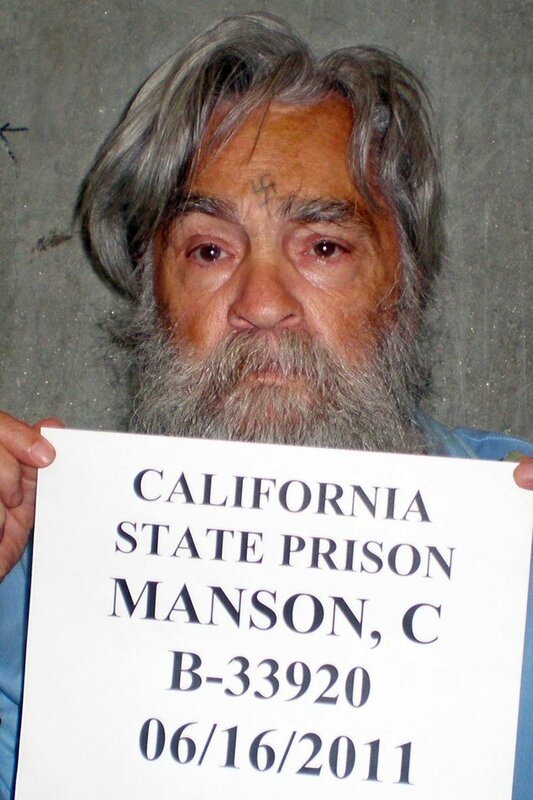 It’s hard to determine if the license’s signature is authentic since Manson signed his name different ways over the years, but the height, weight, and eye and hair color look accurate. The birthday is one day off from what’s been listed as Manson’s official date of birth; then again, criminologists and Internet bloggers alike remain split on whether it’s actually November 11 or November 12, 1934. 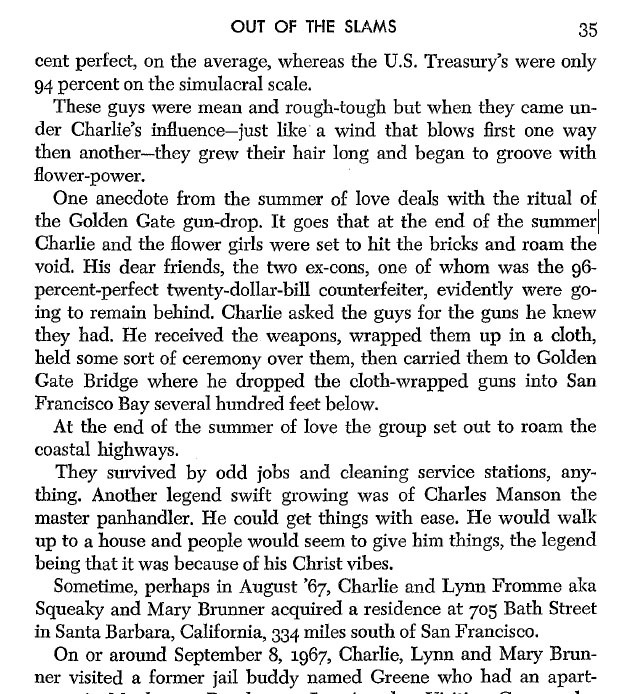 Excerpt from Ed Sanders's 2002 book "The Family"
A short passage from Ed Sanders’s 2002 book on Manson and his followers, titled The Family, seems to lend some credence to the license’s authenticity. Sanders writes: “Sometime, perhaps in August ’67, Charlie and Lynn Fromme aka Squeaky and Mary Brunner acquired a residence at 705 Bath Street in Santa Barbara, California, 334 miles south of San Francisco.” The license talked about above was issued July 21, 1967. Michael Redmon, director of research for the Santa Barbara Historical Museum and an Independent columnist, checked old Santa Barbara city directories by address and phone directories by name for any sign of Manson or Family members Fromme and Brunner, but he had no luck. Redmon pointed out, however, that some of the apartments at that address had high turnover rates at the time. Manson, convicted on eight counts of first-degree murder, is serving his life sentence in Corcoran state prison in Kings County, California. After his parole denial last April, he won’t be up for review for another 15 years. Fromme was never charged with any involvement in the Manson murders but served short jail terms for contempt of court and trying to dissuade imprisoned Manson followers from testifying. In 1975, Fromme tried to assassinate President Gerald Ford and was sentenced to life in prison. She was released on parole in August 2009 and now lives in New York. Brunner testified against Manson in one of his murder trials and received immunity in return. She was arrested in 1971 with a number of Family members who tried to steal rifles from a hunting store and then exchanged fire with responding police. Released in 1977, Brunner changed her name and lives in Wisconsin.